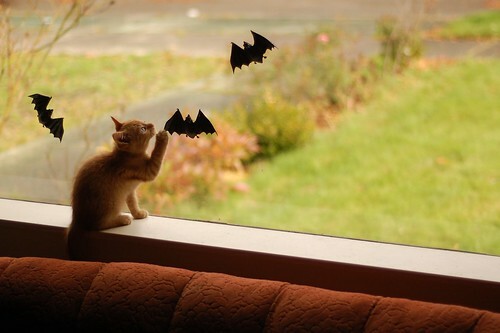 If those bats are stuck to the inside of the glass, I predict some chewing in their future. Adorable. Our Sadie tried to "catch" our Easter clings when she was a kitten. 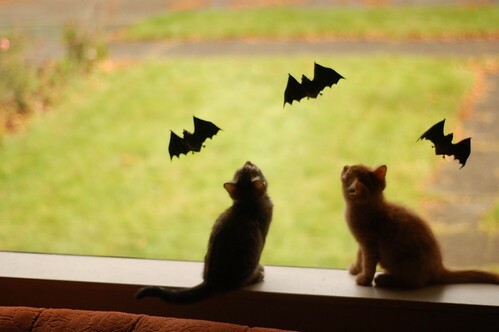 If those bats are on the inside, hope they are afixed to the window quite well or they may be come kitten toys. Ooooh, that looks like fun. I hope my mummy finds me some of those to play with too!! 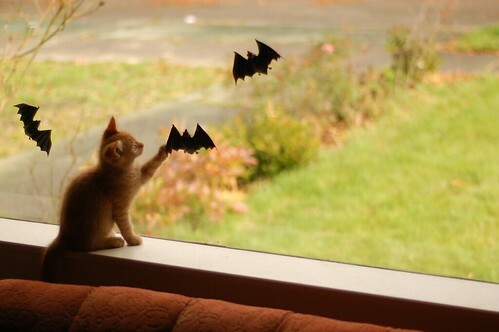 Cats and bats!!! What a combination....came out for a kitty fix and get a treat and some tricks from the little Lively bunch! How darling, great pics! So cute! I'm going to miss seeing these Lively kitties. The Lively kittens look like they are entering that lanky adolescent phase. 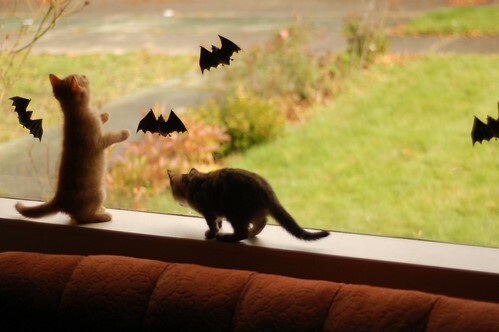 Cats and bats -- your house must be the Halloween highlight of your block. Oh, my, I love those inquisitive little paws and noses. 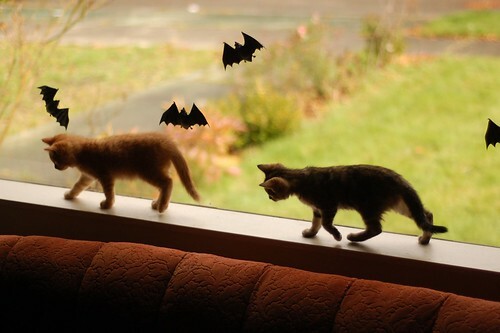 Kittens (okay, all cats) must investigate everything! Sweet how they explore the slightest change in their world! Aww this is just the cutest thing ever! I love how curious they are! 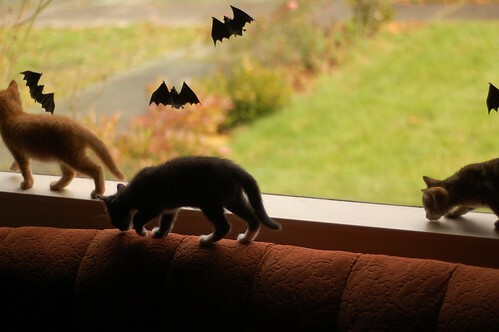 "The mices have grown wings and we're under attack! Quick regroup at the litter box!"